Can we be honest? Many of us are seriously addicted to digital devices. Not having them within reach can spawn feelings of anxiety and anger, just because we are not connected and continuing our consumption of connections, content and engagement. But digital device addiction is no longer just something we think is real, there is actual data and scientific studies that are showing that more than half of us are really addicted to our digital devices. Will this mobile device addiction impact small business marketing? If the above heading has you laughing or swearing that it is not true, we want to share some facts that may be enlightening, if not shocking. A recent study conducted by CivicScience, shows that currently 59% of consumers ages 13 years or older stated that they were either somewhat or definitely addicted to their digital device. The almost ten thousand surveyed consumers ranged in ages from young to old and with various types of mobile devices. Regardless of the age of your typical small business customer, you need to understand that they are likely either addicted or at least somewhat obsessed with their digital device. Now many of you may be saying something like “ya, but those are just the kids that are addicted to their devices“, you may want to keep reading. Ages 13-24: 74% stated they were definitely or somewhat addicted to digital devices. Ages 25-34: 66% of this age group said they were addicted to mobile device. Ages 35-54: 58% are addicted to their digital device. Age 55+: Maybe the most shocking is the older population where 39% are addicted to their device. As if this wasn’t enough, additional research shows that 20% of millennials say that they check their smartphones at least 10 times per hour, and a 25% of those said they did so at least once every 15 minutes! We can’t stress this enough to every business owner reading this post. Your customers are evolving right before your eyes and your small business marketing must also if you are going to survive. Now that we have gotten some of the facts about digital device addiction out-of-the-way, we need to address how they affect your small business. If these substantial percentages are to be believed, we also have to take into account that our small business customers are also within these numbers. Therefore, addressing our digital marketing to take into account how users are consuming content, spending their time and discovering new products and services is imperative for the local business owner. Small businesses can’t turn a blind eye to what is happening with their customers. They need to finally realize that investment, focus and resources must be targeted on digital marketing efforts that will garner new gains with their target audience and help them to remain relevant and engaged with their existing clientele. The biggest challenge for small business owners to understand is that their customers are in fact being drawn away by other local competitors that are doing a better job online. Furthermore, it is happening right under their noses and they may not even realize it. The fact is this: Whether you like digital devices or think they are being used to much in our society, will not change the facts about your customers use of them. They are likely extremely connected, very discerning with which businesses they spend money and are easily distracted by digital marketing savvy competitors. 1- You must be easily found by those looking for what you do. 2- You must be able to convert those eyeballs into walkins and/or paying customers. 3- You must be able to maintain and expand your relationship with them after they buy. 4- You must be able to get them back to spend more money with you. These steps might appear to be a whole other language to you, but you need to understand that they represent the minimum level of small business marketing today. Additionally, all of these steps must have a mobile device focus that accounts for your customers digital device addiction. There are a few key areas that the local small business needs to focus on. The following digital marketing components are not ALL of the important items you need to have to be effective, but they do represent a few of the key areas that must also be incorporated into your digital marketing execution. Experience: Guessing on what to do with a DIY approach to your digital marketing may be a huge mistake. There are numerous details, technical know how and artistic elements required in a successful digital marketing program. Getting the expertise you need to bring it together is going to be extremely important. Evaluation: The first critical step is to receive an unbiased evaluation of your small business online presence. From your website, search positioning, social media and marketing messaging. It is important that the evaluation has a professional approach that is not concerned with your feelings being hurt, but rather can provide real feedback on the state of your digital marketing due to their experience. Without truly understanding where you are, it will be impossible to make progress toward where you need to be. Strategy: All effective digital marketing has a solid foundation of strategy that is based on real data and proven tactics. Think of your small business marketing strategy as a complete business plan for your marketing. It must be based on research and actual information, then using that information it should be coupled with the details, steps, platforms and activities that will drive real results. Integration: Today’s digital marketing requires multiple marketing channels working in unison online. Consistency: Finally, effective digital marketing is not at all a sprint. It is a marathon that builds momentum over time and drives results that are earned through consistent and effective activities. Unlike television or radio marketing, which is direct response format, digital marketing requires a long-term focus of flawless execution, and delivers long-term benefits as well. 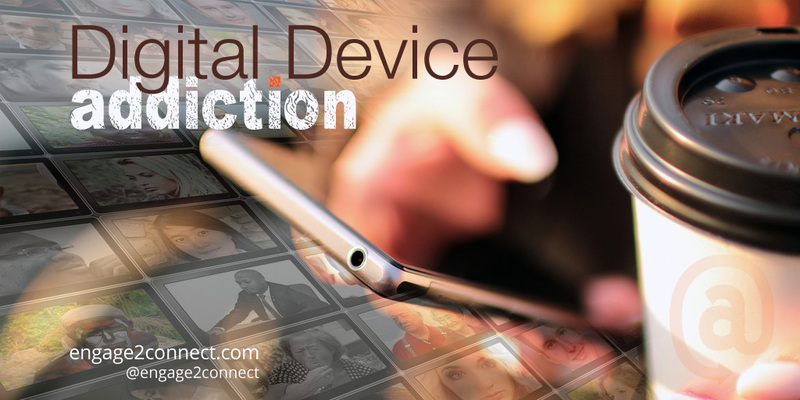 Today’s digitally connected consumers are not only addicted to their devices, they frequently do business with companies that cater to their addiction. Your small business marketing should reflect an understanding of their needs and deliver content, experiences and a digital brand presence that is comfortable for them and meets their minimum expectations.